How do reverse osmosis water filter systems work? Reverse osmosis is just one of the many types of water filtration systems out there. Some water filtration systems include screen filters, slow sand filter beds, cloth filters and more. In this article we will be looking at reverse osmosis in particular. There are many benefits to using a reverse osmosis or “RO” system, which includes reduced environmental impact, longer-lasting filters, and improved taste of your water. Let’s look at how reverse osmosis works. A reverse osmosis system consists of a pump, an RO membrane, and a series of pipes to carry the water in and out of the system. The water is pumped using high pressure into the RO membrane, where any contaminants such as bacteria and metals are removed. 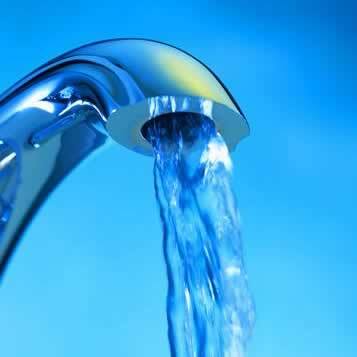 The clean, purified water passes through the other side while any contaminants are drained off. The water entering the system is called ‘feed water’ whilst the water that leaves the system is known as ‘permeate’. The membrane only allows water molecules to flow through it, so by having the water forced through using high pressure, anything that isn’t pure will not be allowed to pass through. What can reverse osmosis remove from water? Reverse osmosis can be remove at least 99% of all bacteria, particles, colloids, pyrogens and organics from your drinking water. Since it works by only allowing things of a certain molecular weight (less than 200 MW – a water molecule is 18), the filter works on a molecular level and is therefore extremely thorough. It should be noted however that one cannot rely on it completely to remove things like viruses, but that should not be an issue as a system like this will be used in conjunction with your regular tap water system. If you are interested in having pure, clean, great-tasting drinking water in your own home, get in touch with us at Hydro Solutions. We provide all sorts of water services, from digging wells and setting up irrigation systems, to analysing your water and much more. Contact us to find out more.